A sports bike in its purest form. Reduced to the essentials. Agile, fast, suitable for A2 driving license and extremely sporty. Whether you are on country roads or the racetrack, the Moto3 genes are perceptible in every manoeuvre and convey pure race feeling. The handling ? simply spectacular. The performance ? incredible. The power ? awesome. Learner Approved Motorcycle^^Offer ends 30/04/19^^Please note this price is for Queensland only. 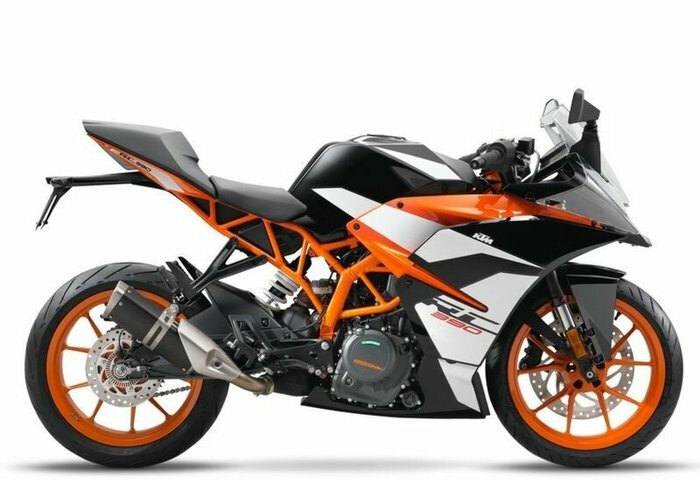 Please contact your local KTM dealer for location specific pricing.^^*Ride away price includes all offers, cashback, rebates and discounts.